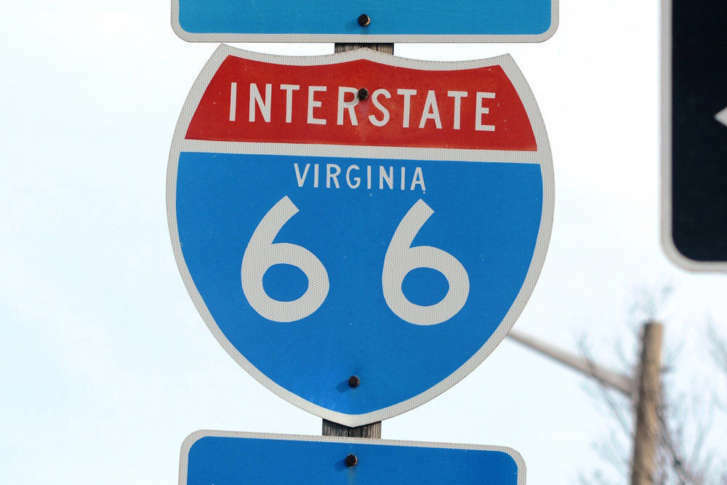 WASHINGTON — Traffic has increased on several alternative routes since the start of rush-hour tolls for solo drivers on Interstate 66 inside the Beltway Monday morning, preliminary Virginia Department of Transportation data suggest. The traffic counts at single intersections show slight increases Monday morning on Va. Route 7, U.S. 29, U.S. 50, Va. Route 123 and Georgetown Pike. On Monday afternoon, traffic increased on U.S. 29 and Georgetown Pike, but a crash along U.S. 50 and congestion on the Beltway made comparisons to previous traffic levels more difficult on U.S. 50 and Va. 123. Tuesday morning, the number of cars on U.S. 50 increased 8 percent over previous weeks, while Va. 7 and Georgetown Pike traffic increased slightly. VDOT traffic engineers believe it will take several days or weeks for drivers to settle into new preferred routes. The tolls for solo drivers during the morning rush have risen at times to $40 for the full trip between the Beltway and Rosslyn, even as Monday afternoon’s toll never rose above $12.50. VDOT cites the regular eastbound chokepoint at the Dulles Connector Road as a reason for the higher tolls in the morning, along with the more concentrated morning rush period. Over the next two years, the 4-mile stretch from the Dulles Connector Road to Ballston is scheduled to be widened to add a lane. The requirement to have an E-ZPass applies between 5:30 and 9:30 a.m. eastbound and 3 to 7 p.m. westbound. Drivers with at least one other person in the car can ride free with an E-ZPass Flex transponder that is flipped to HOV mode. All other drivers, except motorcycles, pay a toll. So far, tolls have risen most dramatically during the previous HOV hours of 6:30 to 9 a.m. and 4 to 6:30 p.m. That means that other than hybrid drivers and Dulles Airport traffic, the solo drivers paying the tolls would have been breaking the rules by using the road before. About 34 to 41 percent of drivers Monday and Tuesday have had E-ZPass Flex transponders in HOV mode to ride free, while slightly more drivers have paid a toll with an E-ZPass. Fourteen to 18 percent of vehicles, including motorcycles, have traveled without a transponder, VDOT said.